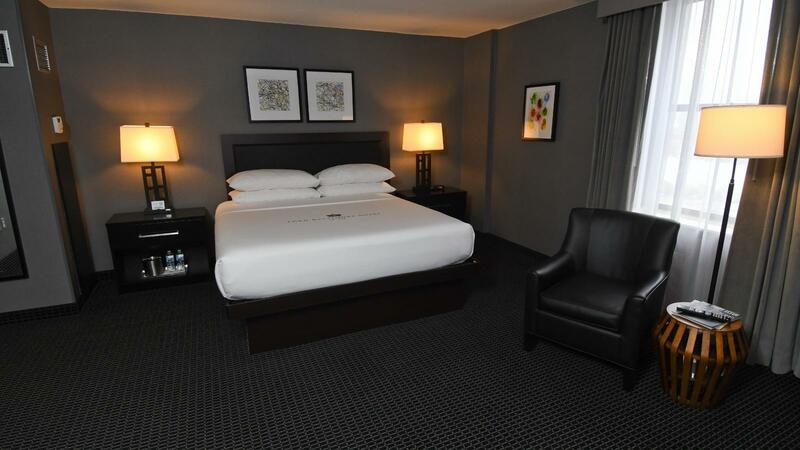 With expanded corner locations on each guest room floor, the Grand King Room includes an oversized pillow top mattress bed, soft seating area, well light work space and an entertainment area with a 40” high-definition television. Each Grand King Room has abundant light with windows overlooking the city. The room is an extremely generous 290 square feet / 27 square meters.